You tube - camera icon has plus button. You can live stream from there or record. Making a map of results on a spreadsheet. Puts it on a map. Assessment means to sit beside. Tomorrow’s schools. Changes coming. Pivot task force report from 30 years ago sounds kind of familiar now. Innovative teachers of the time. Where has the creation gone? It is in the curriculum but planning needs to happen for it to happen in the classroom. Kids want to create and do stuff. Plan for opportunities to be creative. Hope - drives us to do something. Collection of where educational change is happening around the world. Teacher and student answers to that question are very different. What is our impact and how do we know? What is happening outside of school that makes it more appealing than what is going on inside school? What is seducing about YouTube ? If we want our students to take risks then the teachers need to take risks too. 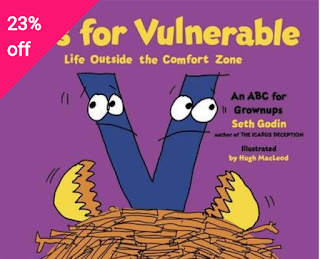 The teachers also need to supply the space for the students to take the risks. Teach who is in front of you nor what is behind you. Teach the students not the curriculum. A learning environment is not defined by a physical space. A line has to be drawn for teachers to say "no" after a certain time, but this does not affect when the students actually work. How many ways are the student sin your classroom accessing their learning at the moment? How are they linked? The best piece of tech in the classroom is the teacher!! Rewindable learning is good for reminding students what they did when they do not have access to you as the teacher. Caves, campfires and watering holes. Different areas in the room. Finding the commonalities on the ways we like to learn - in small groups then pulling it out for the whole class. Plan the spaces in the room from the responses to this. Plan the big areas for commonalities then use the edges for the areas that are left. The spaces need to change to the requirements of who is there at the time. How have you got the content laid out on your site so it is obvious what the priorities are and what you want people to see first? The physical space is organised for the students. The online space needs to cater for wider than that. Challenges to improved change ? Time, lack of devices, lack of passion, parents, mandates, TITWWHADI, technical expertise, rapid change, priorities, lack of support, budgets, communication, equity, research. When you hear something that works, it should give you hope but you should not replicate it exactly. Everything is different for different people and situations. Understand fully the possibilities of any product you are going to use. Connect with other people to help, advise and listen to. Use the product yourself and it will improve your confidence in talking to others about it. Approach the early adopters and get them to try stuff and share it back, then it is not just the same innovators trying to push everything. Late majority - need more proof and see it done. Laggards - don't polish the rocks!! 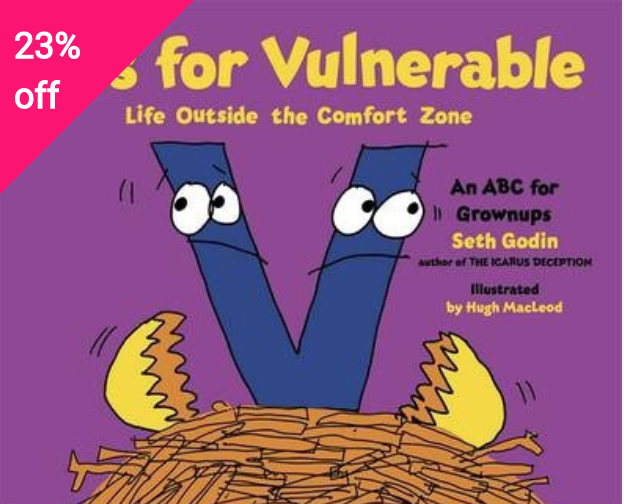 People are risk averse and the majority of people will say no at first. Early adopters can trial and suggest how it can be made meaningful for the majority. Need to invest in building capacity in staff - it doesn't happen by magic. How can time be used efficiently? Build expertise in students - they can assist staff and other students. Once you have adopted something how do you make it stick? How can schools retain the passionate people? SAMR model - key moments need extra attention for this to happen and not slide backwards. Understand your why first, then the how will fall into place. Starting with why create your purpose, this will then drive your motivation and so to passion - lack of passion could be that they are not linked to the overall school why. It will fall over if you build competency but not passion for the why. The what it "should" be needs to be based on your why. Who decides what it should be? Factories churn out things - does education churn out people? Education came about because of the need to fill factory jobs - learn a bit - get assessed - learn a bit more - get assessed on a bit more. Are we giving students the chance to not fit in to this system? Is education fast food? Those most likely to succeed? - documentary The more different ways you learn something, the more you will remember it. Learners engage in different ways so why do we standardise everything? 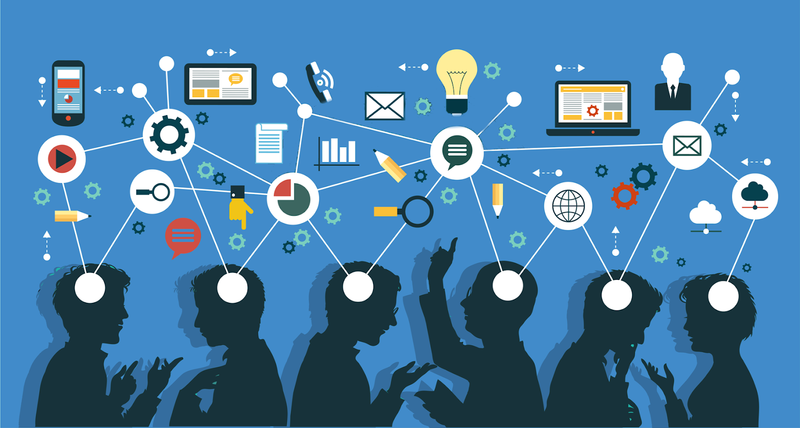 Learning is not constricted by four walls so why only do the teaching there? Also the time? It does not happen between 9 and 3, especially the students who have loads of responsibilities at home. A students best learning time is anytime which is good for them so the learning needs to be accessible at any time. This all changes the job of teaching to different parts of the day too. 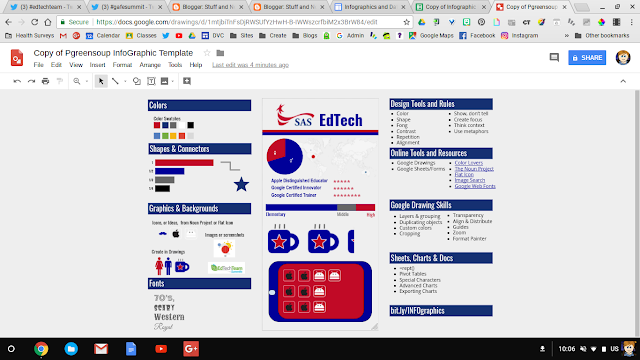 On the examples - Google Drawings are used mostly to show the activities. The students choose which activities to engage in from the drawing. There is a time limit for the drawing - in terms on lessons / weeks etc - the students do not have to do all of the tasks on the drawing. Different ways of learning the content, presented in different ways, outcomes to be created in different ways. There is always a create / do connected with all the blocks. You curate the content that you want the students to go to - boundaries - zig zag through them as they want. Visual literacy is an important skill so we can have understanding of all the information that is throw at us on a daily basis. Design is a huge component of communication. 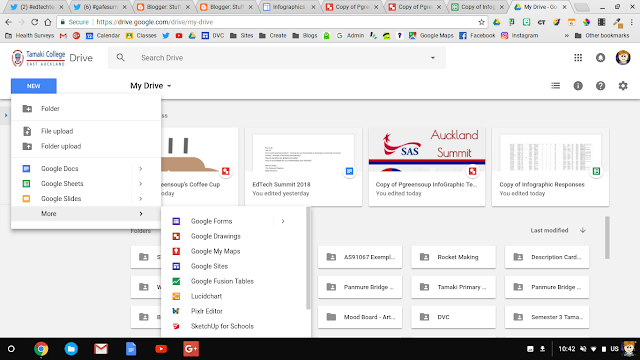 The Google Drawing page is in the centre section. Use the zoom tool to zoom over the area you want to work on so you don't have to see all of it all the time. Fonts give an immediate feeling and thought when you see them. You can use this to your advantage. Culture plays into the meaning - it is the person seeing the font that makes the meaning it gives. Use colours that go together - don't just randomly throw colours at the page. Use colours that help you tell the story. Shape - these can make your brain link to things as soon as you see them. You can make simple images by combining simple shapes together on Google Drawing. Build your own rather than find something on Google. Makes it more personal. You can access MyMaps from drive! Do we see the technology in the classroom as the enemy? Does teaching have a "plug and play" formula? Do we just do it a certain way as that is the way we were taught? Be brave, try new things, fail. Try high risk things on your classroom. Some things will work. 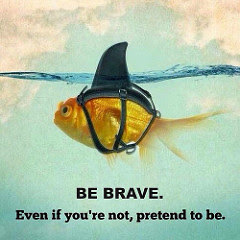 If you can't be brave all the time, then pretend. Magic happens outside your comfort zone not inside it. 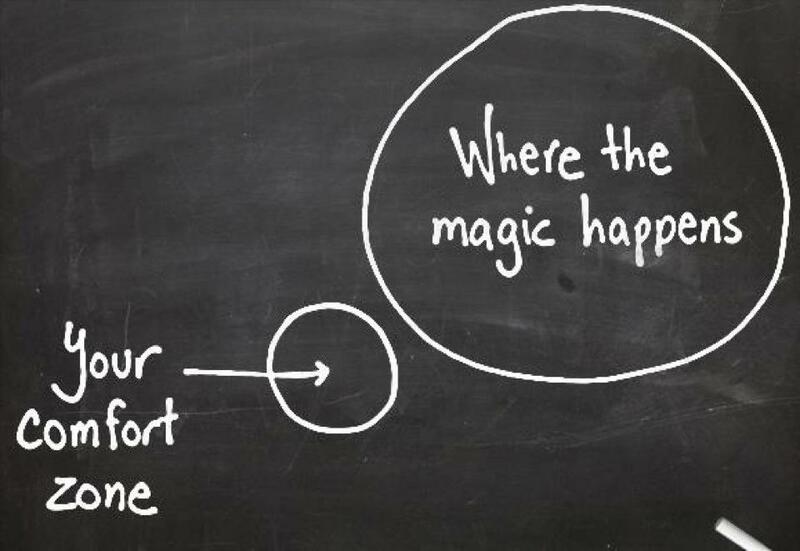 People need to be honest about how it feels to be outside of their comfort zone. Education, technology, passion - the cross over is the sweet spot. "Innovation is change that unlocks new value"
If you stand at the point of conflict and choose not to be brave, then you miss out and so do your students. What does the climax of your story need to look like? Can you imagine it? The teachers story is linked to the students story. How might we leverage this culture of digital documentation? How can we engage them in things that they want to document it? What would education look like if students are given the chance to tell their stories? Social media companies are all getting on board with a "story telling" feature. Do we as teachers share our teaching stories outside of our circle of "edu peeps"? We are those who shape the narrative of education. Positive stories / positive hashtags - what affect would this have on education? Which problem would you like to solve? How can you do it if you don't allow students access to everything that could help them? The real world is not a different context or problem every 50 minutes. "but" is your enemy! 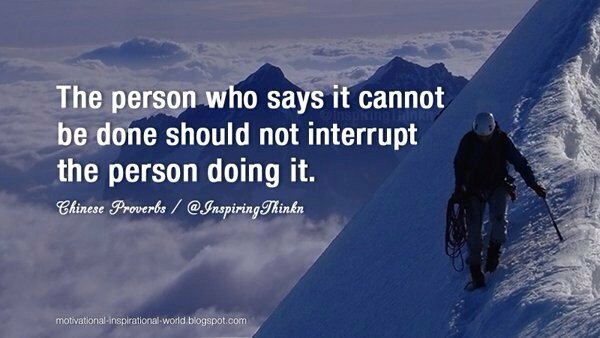 What is your "but" that stands in your way? Time - how do we see time? How do we spend time? Give the time needed for the problem, not fit the task to the time. Curriculum - "but i have to cover the curriculum" ... always!! - just because the teacher covered it does not mean that the students learnt it. The curriculum is not the problem, our mindset is the problem. Fear - this is a real thing that teachers go through for many reasons. 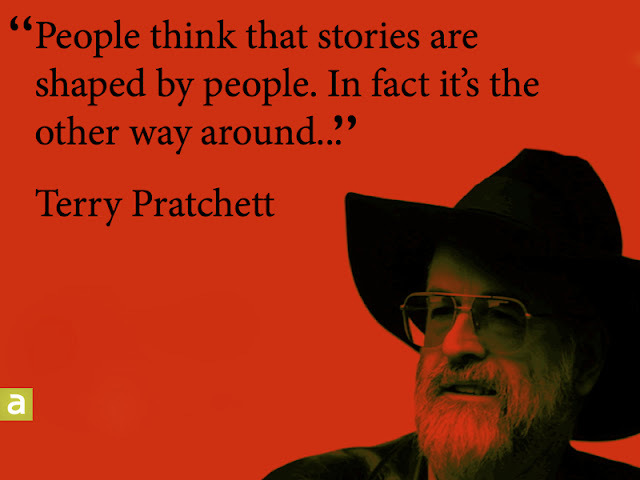 "a small group of committed people can change the world"
"Stories are a communal currency of humanity"
There are people who go "oh ...what happened?" What is the purpose - do not do it for the sake of it. Design the learning from the start so that it is shared. Presentation of a multi modal approach that is accessible to all. Scratch 3.0 is coming out this year. Digital technologies is the way the world is going so it is important for students to know about it. We teach art and music to all students and they don’t all become artists and musicians so there is no expectation for all students to become programmers. 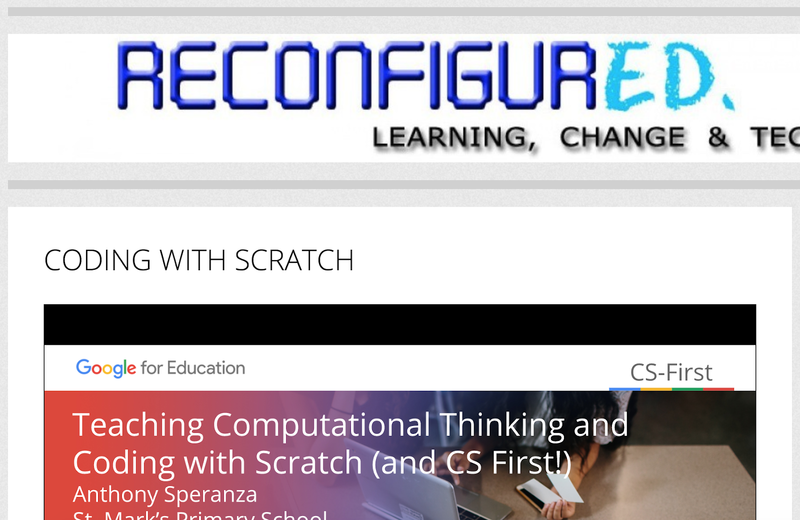 CS First website - takes you through structured lessons to cover the content / projects. Tutorial videos are included - and help and support sheets and forums - the teacher does not have to feel like they need to know everything. Scratch 3.0 does not work on flash so it will rock on anything. Devices like sphere etc can be coded from Scratch 3.0 via Bluetooth. Scratch jr has a specific Chromebook app. If the videos are too overwhelming then on the right of the scratch screen is step by step help and support. Create images and video - connect them and create a tour. You can use 360 images with or without phones. On google maps - the chevrons show imagery in the view mode you are in. Circular arrow means 360 images. When you zoom in, the images change to be from what you can see on the screen at the time. Street view - peg man can be put on any blue line as that is where street view camera has been. Blue dots - 360 imagery that is from users not Google. With some famous places, you can go inside with peg man. Some elements in the buildings have blue dots to click so you can get information. On featured - any good stuff that Google wants to feature. These collections change as you zoom in and the view changes. The compass icon enables you to move the phone to move the view. Cardboard icon splits the image so you can use the cardboard. Explore - images from not just Google. People document where they are - this can be powerful as there are places where Google can not go - like war zones. Take an image - orange symbol bottom right. Try and keep your body pivoting in the same spot. Find the orange spots as you turn. You can blur the faces - click on the three dots - detect and blur faces. You can click and hold to add sections that are not auto detected. You can click on the blur to remove it. Why do we want student voice? What do you use it for? What kind of questions ? What are you trying to find out? You can add a file as an answer on a google form - students can add photos as an answer. On google slides - get students to have a slide each then you can use the grid view to see all the responses of the class together. My Maps - you can import information from a spreadsheet created from a Google Form - it asks you what columns you want to include. It will ignore bad spelling as it can not recognize it as a place name. Flip grid - collect videos of student voice - you can have one free grid but add different topics in the grid. They can see each other’s responses. 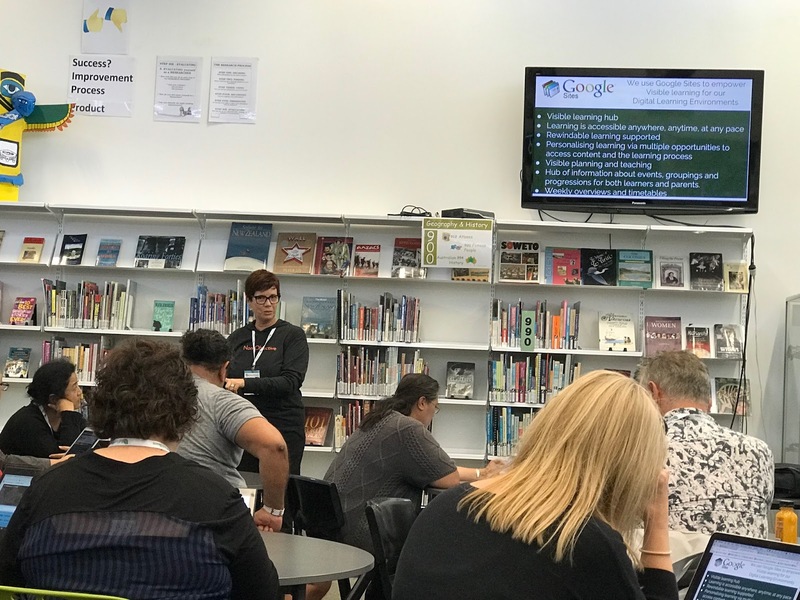 Google forums and groups - need to be over 13 to use these with students. Community and connections - how do we use these tools to showcase community of school, location, diversity of students and learning? How do we grow our global community? Who is accountable for you implementing your learning? Why is it hard to look back at educational practice and admit when you were wrong? How are we placed to change as the world changes? Are we as teachers prepared and if not, how can we prepare our students? Two days in school - learn from home three days a week - the students go to work with their parents some days and take self paced school work with them to be getting on with. What level of trust and organization do you need to make this happen? Sequoia has School - mixed grade classrooms - everyone is held back twice before the age of 12. Personalization and leadership. Institutionalized failure. - failure as normal so they get a chance to try things that they have not done yet or did not get the chance to the first time round. This is done with cooperation with the parents to work out when is a good time for it to happen. It is not always school wide initiatives attached affect the students, it is individual teachers. 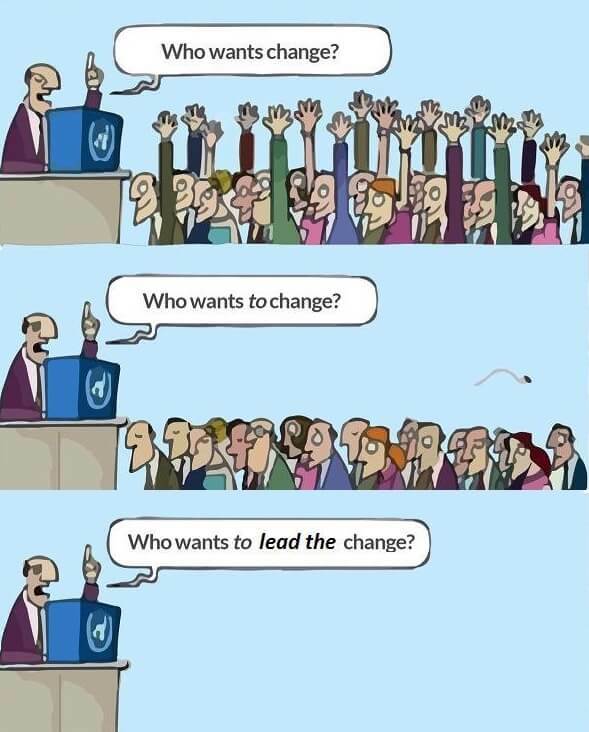 It all starts with relevant teachers who don’t wait for the school to change but lead from their classrooms. A relevant teacher knows their role is different from what it was in the past - flipping - allowing students to be teachers. Is what I’m teaching transferable beyond my classroom walls? If not, why am I teaching it? Are you wasting students time teaching them things they will never need? Relevant teachers are not afraid to access to information and to allow students to access it when they need to. How much of the student day is filled with stuff they can find on the internet? Should students be allowed to use their devices in exams as this is the way the world works - no need to memorize - dont make students do what adults dont do. Adults look things up when they need to in the process of doing a job. Why do we expect students to memorize everything? Curriculum building is not perfect for everyone. Meeting students where they are at - not just learning wise but physically and online. Craft a digital footprint / portfolio. What is the best way for students to do this so they can showcase themselves online in a positive way? Here is what I did and how I did it - show the process and thinking, not just the end product. The “shoulder shrug” - dont give all the answers. What is something that I am doing that is not that important? Think of things that you can get rid of. Value student ability to not follow instructions. The problem with exemplars is that the students try to replicate them exactly and not be creative themselves. Do they have a preconceived idea of what the end outcome might be because of the exemplars that you gave them? When students choose something over what we as teachers want them to do - is this addiction or just more interest? In modern games, there are side quests as well as getting from a to b. Can be make our lessons more like this. 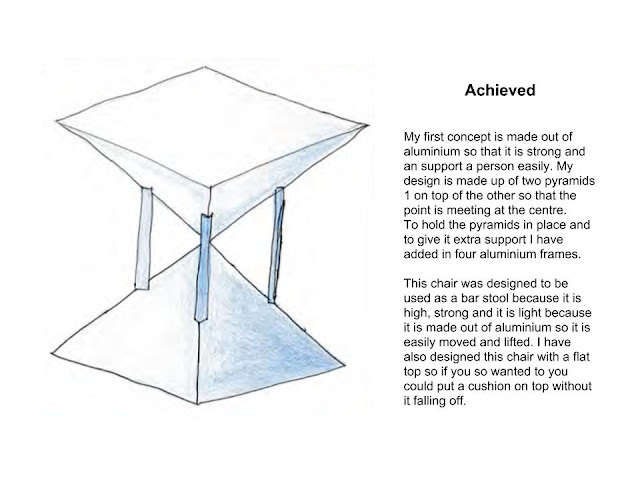 An end outcome but with possibilities on how to get there. We talk about “work” all the time at school. Why does everything have to be work? How are you relevant ? How do you stay relevant? - be a learner. Link to Manaiakalani Class OnAir to see the whole team. The students are working in pairs and are playing a card game. This involves them DESCRIBING the product that is on the card to their partner. When we were all together, we played a game with a pack of emoji cards to warm us up. The instructions for the rest of the lesson was to sit in pairs and use the help cards to describe to each other what is pictured on the cards. To be able to describe a product / object to each other verbally. Students can identify the products on the cards. Students can describe the products on the cards in simple “bullet point” sentences. Students can describe what the products look like, what they are made of and why. They can explain how the products on the cards are used. Students can reflect on the descriptions of the products on the cards and ask questions that will help them clarify what they know. Critically analyse their own and others’ outcomes to inform the development of ideas for feasible outcomes. Undertake ongoing experimentation and functional modelling, taking account of stakeholder feedback and trialling in the physical and social environments. Use the information gained to select, justify, and develop a final outcome. Evaluate this outcome’s fitness for purpose against the brief and justify the evaluation, using feedback from stakeholders. Thinking - looking at the picture of the product / object and deciding the best way to describe it to their partner. Using language, symbols, and texts - verbally describing to each other using design terminology. Managing self - staying focussed on the task as it is not just themselves they are affecting if they don’t. Participating and contributing - joining in the activity to make sure the team works together. Relating to others - working in a pair and listening to each other. 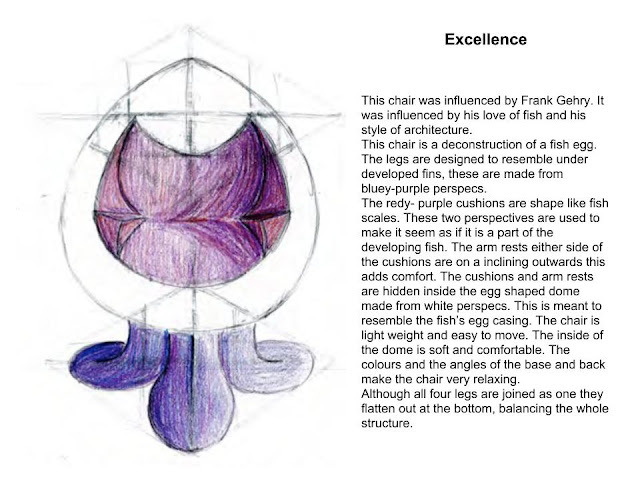 We have started talking about design work as a whole class and doing describing exercises all together. The class will be working in pairs where they will be playing a card game. They will take turns to describe the object that is shown on the cards, using the prompt questions if they need to. The class will sit together to listen to the teacher give a brief outline of the task. The students have the help questions to guide them if they want to use them. They will be reminded to think in a similar way to how we have been doing the whole class descriptions. Explain the rules of the game to the class. One student to pick a card and describe what the picture is to the other student. The question card can be used if the description is lacking detail. As many guesses can be done as needed. General overseeing of the sequence of the lesson. Making sure the iPads are set up to record as many conversations as possible. Uploading the videos of the discussions from the iPads to the class community. Students sit in pairs to do this activity. Lay out the cards face down between them and take turns to choose one. One student to describe the product / object that is pictured on the card while the other student tries to guess what it is. If they guess the card is theirs. The discussions / descriptions will be recorded and shared in the class Google Plus Community for everyone to watch each other’s. Link to drive folder - these have been printed out to use in the lesson. Emoji card game - for the warm up. We will continue to do whole class describing of products / things at the start of each lesson. 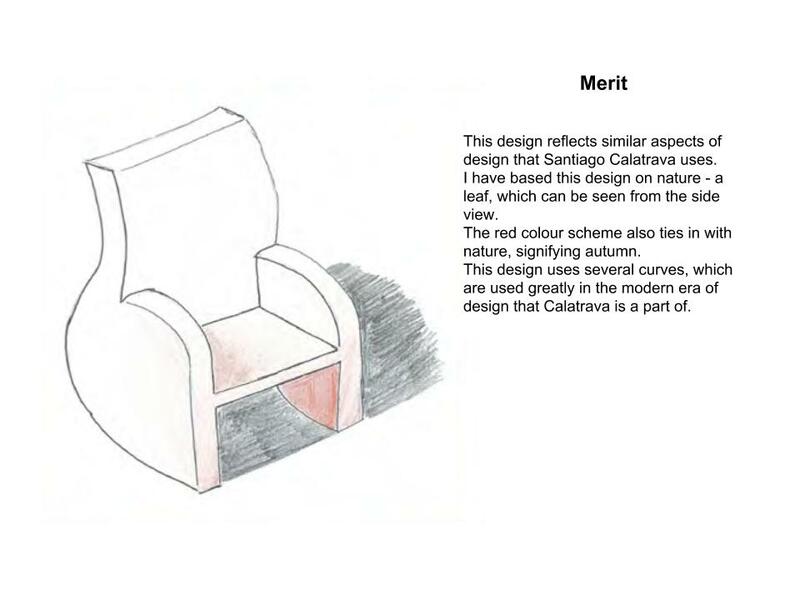 Describing skills will be used both in their research of existing chair designs and of their own design work. Lesson Content :- doing the warm up at the start was good as it got the students interested and they were all joining in. Lesson Pacing :- I allowed them to take as much time as they wanted for the game, and this ended up being about 15 minutes which was good. They stayed on task for the whole activity so this amount of time was just right. Lesson Delivery :- Although the start of the lesson had the students around the front table for a while, it was a more interactive session as we did the warm up card game all together. I managed to keep my session instructions super short this time so the students could then get on with the activity in pairs. This enabled me to get round the class as they were working and work with the pairs rather than spend too much time with the whole class. Student Understanding :- They worked well together and helped each other. This helped their understanding and taking turns helped with this too. They seemed to get more comfortable with the describing as the game went on. Student Outcomes :- I was pleased with the amount of fun they had while doing this activity. Lesson Content :- I photocopied / printed the images onto paper so we had to hide the game cards under a sheet of paper so the students could not see what they were as they were a little see through. Card would have been better as you would not have been able to see what they were from the back. Student Outcomes :- Only 6 students were there today due to various trips out today so the rest of the class missed this. It became apparent as they were working that they realised that when they explained how the object was used, it made it a lot clearer what the object was. One team especially was avoiding explaining how the thing could be used as it gave their opponent more chance to guess what it was. I hope they remember this as they are describing their own designs. Explaining how their design is used or how parts of it work will really help with the understanding of what their design is. This is some of the ongoing lesson during the describe game. I have included the full 15 minutes of the game for each team here. I decided to do this as their conversations for the whole time were focussed on the task and they were working hard at the describing that they had to do. These videos also show that they were having fun while doing the activity. Please scrub through to see different sections throughout the videos. 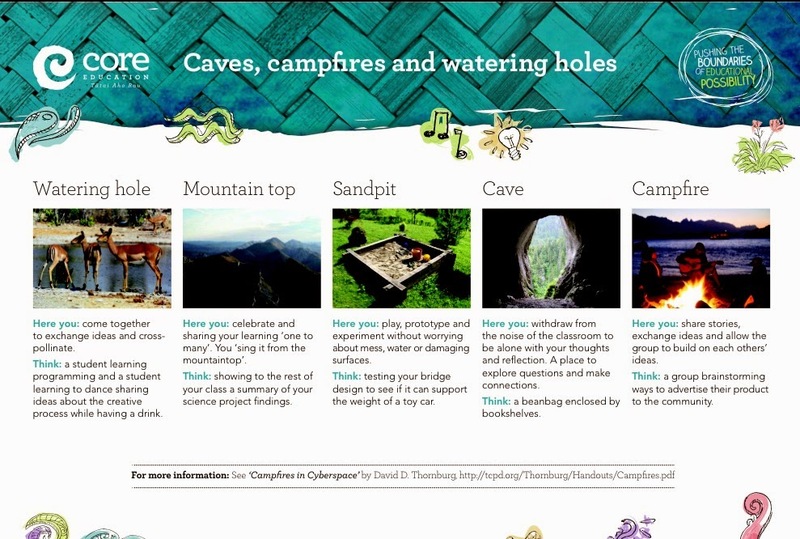 I had a really good meeting with +Cheryl Harvey (specialist classroom teacher) today about various things and one of them was finding reading activities about design for my students to use. 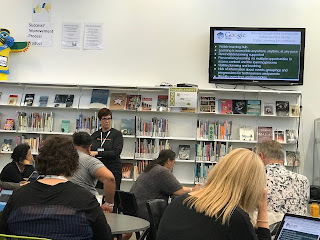 She suggested that we have a look at the exemplars on the NZQA website for the standard that the students have just started. Link to exemplar work on the NZQA site here. She said it is good for students to see the work of others across New Zealand. This also fits with what I saw happening in the classroom of +Robyn Anderson when I went to visit her. Blog post here. I decided for their first reading task, that I would isolate just one design from each level, via a screen shot, and type up the student notes with that design, rather than have my students try to read the hand writing on the examples. I am going to also copy what Robyn did in regards to printing these out and getting the students to highlight key elements with highlighter pens. Reflection on ‘Share’ Opportunities in Term 1 for students taking Design and Visual Communication. My Year 7 and 8 students from the intermediates have been pretty regular bloggers about what we do in DVC. We have not done this every week though so I need to keep up with that. 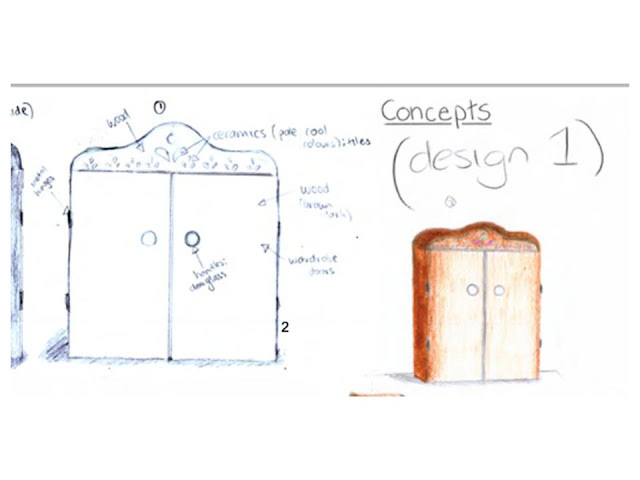 The students have used photographs of their 3D and 2D work and embedded their drive documents onto their blogs. I have not got into the habit of getting my Year 9 and 10 students to blog or use a community this term so that is definitely a goal for me for the second tech rotation going into term 2. We share into the class Google Plus Communities so that everyone can see all of the work that is produced by everyone else. We embed our drive documents and also put photographs of 3D work and scans of drawings so everything is included here. For the seniors, it is good for them to share within the communities as it helps support them knowing what to do. This is especially important for those students who are new to the subject. What is also good about the communities is that I have used the same ones for about 5-6 years so the students can scroll back and see work from previous years.